Fuelling social conversation and community through content generation and curation is incredibly important today for brands looking to drive conversion and loyalty around their products and services. But responding to and acting on these interactions presents significant management challenges around IT infrastructure, bandwidth, and tailoring real-time content through analysis to keep the community thriving. This was the problem facing Australian media company, MMGN, which generates and curates professional and user-generated content to encourage better interaction between individuals in the gaming community. Since its launch, the company has built one of the biggest gaming communities in Australia, with more than 6 million conversations per month, and has 60 moderators working on interaction globally. More recently, MMGN has also begun providing its community management know-how to corporate clients, helping to improve user engagement for a range of enterprises including DMG Radio, Australia Post and Sensis, and hopes to continue growing this side of its business. “The idea behind our business is that when users are interacting, lots of interesting things start to happen,” MMGN founder, Roy Hui, told CMO. “People talk about the things they are passionate about and involved in. “User discussion, user generated content, social discovery and private messaging all increase the amount of time a consumer interacts with a brand. For example, when you read an article about a game, we often provide those consumers with a way to interact with the game and that content, as well as connect with other people that share their passion and interest. That generally increases engagement and with it, business metrics. 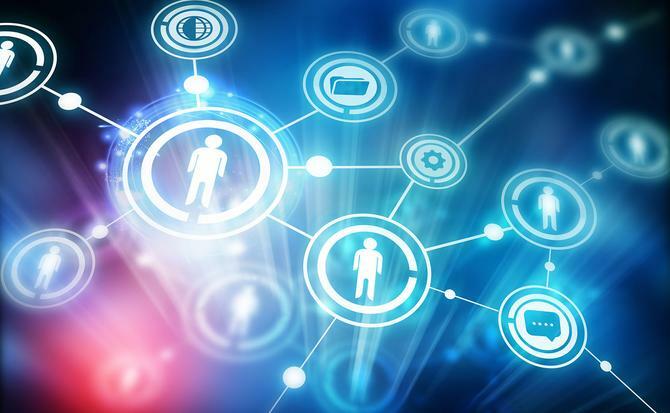 Hui claimed client-business engagement for organisations that have applied its technology and services to existing communities have increased by up to 250 per cent. One of the challenges MMGN faced was controlling the costs of IT infrastructure and bandwidth usage in the face of traffic spikes generated by particularly popular content. The company was using a managed services provider in Australia to host its websites and technology services, but struggled under the weight of unpredictable bandwidth charges. MMGN opted to switch Amazon Web Services (AWS) in 2009, starting with its storage and content delivery networking capabilities. When the company launched its data centre in Sydney last year, MMGN opted to run its entire infrastructure in an Australian-hosted AWS environment. Hui claimed AWS offers almost infinite storage and bandwidth capabilities with no penalty for exceeding the monthly quota. He highlighted having its own independent services and full control of its data locally as another welcome improvement. In addition, combining AWS DynamoDB, a database for fast performance and seamless scalability with ElastiCache, an in-memory caching system solution, has allowed MMGN to store millions of conversations and provide real-time analysis on big data. Hui said the decision to switch completely to AWS has reduced total operating costs for MMGN by 50 per cent. Another benefit is that AWS makes all its own infrastructure accessible via APIs, giving the team at MMGN the opportunities to delve into the technical details and really understand new products and usage before having to commit, he said. Access to enterprise-grade solutions architects is another plus. For example, MMGN had been interested in switching from a traditional MySQL data to a NoSQL non-relational database solution, but was unsure of its effectiveness versus the amount of effort to transition. By escalating the problem, MMGN was able to talk to AWS advisors about the pros and cons and advised to stick with the traditional relational database solution. “That validation from someone who understands the industry and technology was a nice surprise,” Hui added.